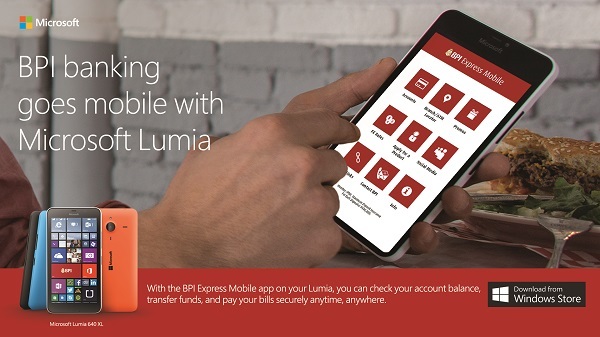 Microsoft and Bank of the Philippine Islands are happy to announce the availability of the BPI Express Mobile app for Windows. This mobile banking app is one of the first to be native to the Windows platform in the Philippines, which allows for a faster and fully-featured banking experience. The application has been optimized for the best possible mobile banking experience on a Windows Phone. BPI Express Mobile app for Windows is available for download from the Windows Phone Apps Store from September 15, 2015.